Hello Kyle. Thanks for your willingness to be interviewed by AllergicChild.com! Can you tell us what food allergies you manage and have you ever experienced anaphylaxis? I am allergic to peanuts, tree nuts, eggs, fish, shellfish and mustard. I have unfortunately had many allergic reactions, however one stands out as the most serious anaphylactic reaction. I was 21 years old and was given a snack by someone I knew who told me it was okay. My instincts told me that the treat (a brownie) was a weird thing to be safe for me, however I ate it assuming it was made safe for me. It contained cashews and turned out to be an unfortunate accident due to a breakdown in communication. I learned a very valuable lesson that day in that you can never be too careful. I triple check anything I am unsure about, even food from friends or loved ones. It was a wake up call to say the least. I have had allergies nearly all of my life starting at the age of two. I was initially allergic to dairy foods and outgrew it. I grew into my mustard allergy as a teenager strengthening my bond with ketchup! How did you learn to advocate for yourself growing up? I will admit that I had a difficult time advocating for myself. I was a very shy kid and allergies were not so prevalent at that time. I did not know anyone else that had an allergy. This often made me feel like I was a burden to others as I wasn’t so “simple” around mealtime as everyone else. I would ALWAYS carry my EpiPen with me and wore a MedicAlert bracelet. As I got older, my parents started getting my friends more involved, which really helped. They all knew how to use my EpiPen, and really supported me. It’s so much easier to ask about ingredients at restaurants and advocate for yourself when you know your friends have your back and know how serious an allergic reaction could be. I’ve seen your posts about being on tour. Tell us about your Anaphyl-What? tour! 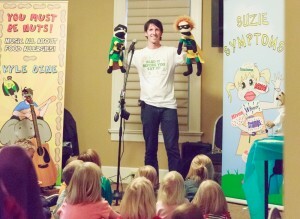 I firmly believe that ALL children should be educated about allergies at a young age. This helps them understand what they are all about and builds empathy towards those who have allergies. My current “Anaphyl-WHAT? Tour” will reach tens of thousands of kids at 45 schools in only two months. My assemblies raise allergy awareness in a fun way. My shows feature lots of songs, trivia, game shows, and my puppets EpiMan, EpiMan Jr. and Chef Allérgy. Kids learn a ton in 45 minutes and will transform how they view allergies. My latest tour really emphasizes the word “anaphylaxis” to let kids know how serious allergies can be, without making it scary. I am posting about my experiences while on tour on my Facebook page. You’ve traveled to China. How did you manage that trip with your food allergies? That is a full article in itself! I documented all of my preparations on my blog at http://foodallergiesrock.com/category/allergies-in-china/. In a nutshell, the trip was challenging. However, I love travelling and refuse to let my food allergies ever get in the way of that passion. My wife and I brought a full suitcase of safe food with us and bought an electric hot plate when we arrived. We cooked rice, pasta, chili and other dishes on the floor of our small hotel room. We ate out once and found a pizza place where they spoke English, but still used an Allergy Translation Card. I am not a foodie and don’t even care that I missed out on China’s food culture. I got to understand their culture on other levels through museums, temples, wandering the streets and practicing a few very basic Chinese phrases with locals. It was a trip of a lifetime! Your wife has celiac disease. How do you each stay safe while cooking in the same kitchen?! When we first started dating we thought it was so cool that we both had such dietary restrictions! We’ve had each other’s back for a long time now and do everything we can to keep each other safe. We are clean freaks with our kitchen! I eat wheat still (to help cut down on gluten-free grocery costs), but have a separate toaster and cutting board. She eats eggs, but uses a separate frying pan. She loves nutella, but only eats it when I’m gone on tour. What advice/experience can you offer a child who’s tired of being different and doesn’t want food allergies anymore? I had the same talk with my young cousin who was diagnosed with tree nut allergy a few years ago. I understand that it’s a downer to not be able to eat delicious looking foods, or be excluded because of an allergy. However, I really play up the fact that this one thing makes you so special and unique. Empowering a child over their allergies involves showing empathy when they are down, but also involves cheering for their successes. I tell children with allergies how proud I am of them for wearing their auto-injector and how cool their MedicAlert bracelet looks. I ask them how they stay safe in difficult situations and applaud their efforts. In essence, I try to make a child feel like they are part of something bigger. Although it’s isolating at times, kids with food allergies are part of a club of amazing children who are actively helping to take care of their own health at such a young age. That’s something to be proud of. Just as one tour ends, another one will begin this spring! I will be visiting many states across the U.S. throughout March, April and May. Please feel free to visit my website for more information and get in touch! I would love to help make a more allergy aware environment at your school! 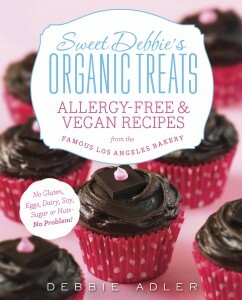 Sweet Debbie – from Accountant to Allergy-Free Baker! Thank you Debbie for being willing to be interviewed by AllergicChild! Your son has multiple food allergies. What allergies are you managing? My 5-year-old son has life-threatening, anaphylactic allergies to dairy, eggs, peanuts, tree nuts, flax seeds, sesame seeds and shellfish. It’s a big leap to go from being an accountant to a baker. Tell us about that transition. 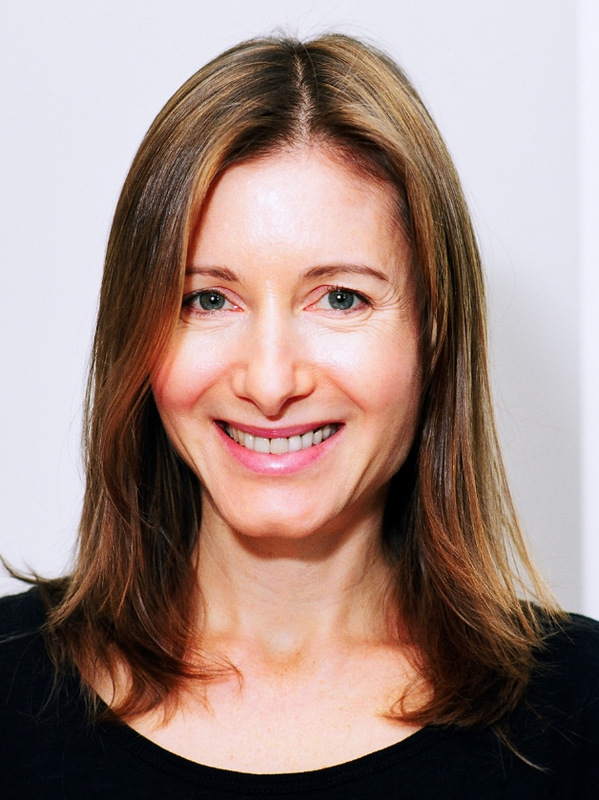 The transition from accountant to baker took an alphabet’s worth of career moves from accountant to b-movie actress to comedienne to director of development to editor of a teen magazine all the way through zen yoga instructor. I won’t bore you with each job I had in between. Then I started at a again to become an allergy-free baker when my son was diagnosed with allergies to almost everything in the USDA food pyramid. When I got involved with the food-allergic community, I realized there were millions of children in the United States alone that had these severe food allergies. I wanted to bake for them as well since I had already figured it all out for my son. I see that you use unusual ingredients like Acai Berries and Coconut Nectar. Have you found that kids with food allergies have any trouble with these ingredients? There is a misconception out there that a coconut is a tree nut because it grows on a tree and ends in n-u-t. But in fact, coconut is a drupe, or a one-seeded fruit. Therefore, if you have a tree nut allergy you can still eat coconut and all its derivations, including coconut nectar. Now, if you have a coconut allergy, and I know some people do, that is a totally separate issue. Acai berries are just like blueberries, but they come from Brazil. So if you’re not allergic to berries you should have no problem with acai berries. My cookbook contains all the recipes that I developed for my bakery, that took me years to develop, including those for cupcakes, cookies, brownies, muffins, energy bars, donut holes and breads. All of these are not only allergy-free, but also gluten-free and sugar-free as well. I developed them with the goal of making them highly nutritious as well. So there is a lot of information about the alimental values of all the ingredients and each recipe contains information about calories, carbs, sugars, etc. per serving. There’s a lot of humor in it as well. Remember, I was a comedienne when I was up to the c’s in my career choices. You’ve been on tour recently. Do you attract more interest from the gluten-free, autism or food allergy community? It seems there is usually a mix of people, most of whom have none of the above issues, believe it or not. They just want to learn how to bake healthfully. But, of course, there is an epidemic of people who need gluten-free items lately so I would say after the general population, gluten-free audiences are my biggest and then the food-allergic. What are your hopes for your bakery? I hope my bakery continues to thrive and make delectable and safe treats for everyone who wants a baked good, no matter what his or her allergy or intolerance. 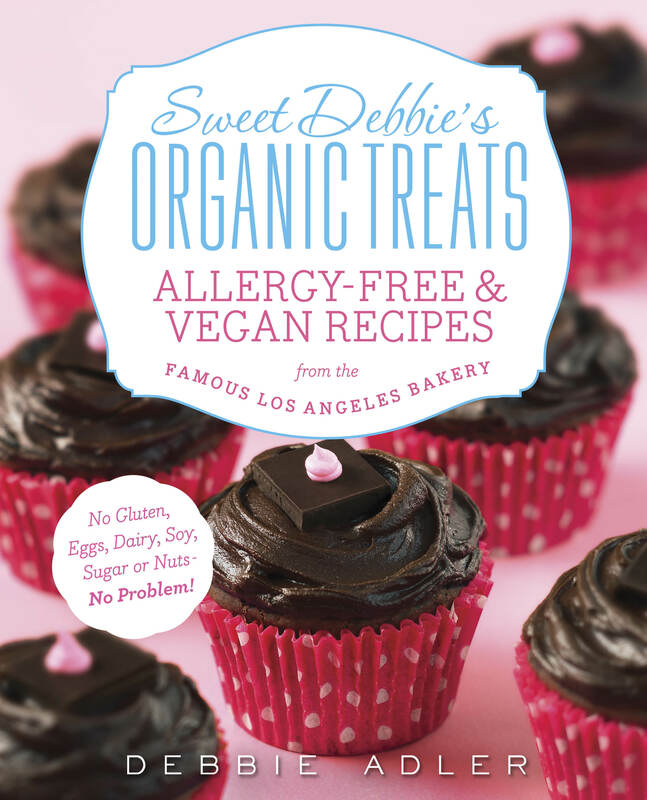 My customers all know that they are not sacrificing taste or pleasure when eating Sweet Debbie’s treats, but sometimes I find there is a prejudice when people hear that everything is dairy-free, egg-free, nut-free, gluten-free, soy-free and sugar-free. They think it can’t possibly taste good. I’d like to dispel that myth because it is not only possible, it’s imperative, otherwise I wouldn’t be in business. Cybele, what food allergies do you manage for your son? Both my sons are allergic to shellfish. My son Lennon also has a tree nut allergy and is allergic to kiwi. Lennon used to be severely allergic to dairy and soy, but outgrew those allergies by the age of 6, thankfully. Monte also used to be allergic to eggs, which he outgrew by one. He also suffers from allergic asthma, and when it flairs, he has to avoid dairy. It should be noted that I also have food allergies. Did you wake up one morning and say, “I’m going to become a top 8 allergen-free cook!” or has it been a gradual process? I never planned to be a cookbook author. In hindsight it all makes sense that I’ve ended up here, because I’d actually done a lot to prepare myself for this career, but it wasn’t conscious or planned. I was a professional writer, who’d cooked in restaurants for a living, but I never dreamed of being a culinary professional. It was a survival job, that I also happened to enjoy. I only started writing allergy-friendly recipes out of necessity. and it all came together. It’s been a very serendipitous process. Lennon was diagnosed with multiple food allergies in 2002, I wrote my first cookbook to literally answer our need for top-8-free recipes to keep him nourished and safe, and in the process I discovered how many others out there needed allergen-free recipes. 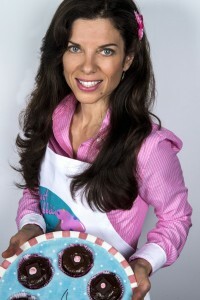 Once I published my first cookbook, the Whole Foods Allergy Cookbook, I realized how extensive the need was, people started asking me for more recipes, to write columns, more books, and I realized I needed to commit myself to helping as many people as possible by providing safe and delicious food for those on restricted diets. I’m extremely excited about my new book, because it’s a collection of 75 30-minute meals! “Make it safe, make simple, make it fast” is my new motto! and most of all, make it delicious. I am too busy to spend hours in the kitchen, and I think most of you are too. 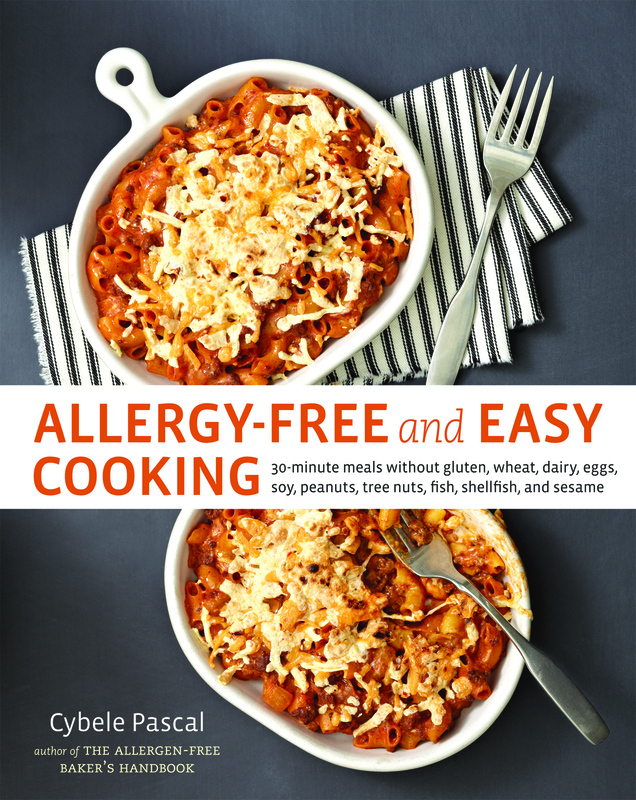 so I decided to write a collection of the recipes I wished I had, allergy-free and easy. This book was so fun to write, in part because it saved me so much time making dinner! What kitchen equipment is a must-have for a family managing food allergies? Plastic cutting boards that can be washed at high temps in the dishwasher to sanitize them; stainless steel cookware that is non-porous and therefore won’t hold onto traces of food proteins. Depending on the severity of the food allergy within your household, you may need a separate set of cookware, serving utensils, etc so you can avoid cross contact by simply having a designated “safe” set. In terms of items that will simplify your life just to make cooking easier, I highly recommend the Vidalia chop wizard, which is prominently featured in my new cookbook. I have a whole section devoted to recommended kitchen items, so please check it out! Rumor has it that you are baking cookies that can be purchased in some Kroger stores? Tell us about this wonderful news! This has been a labor of love that is finally coming to fruition. 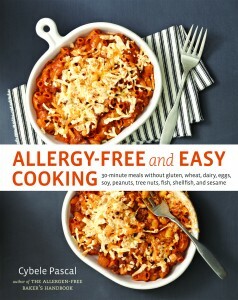 I’ve been working on launching a line of allergy-friendly foods called Cybele’s free-to-eat for a little over a year. I am starting out with three reader favorites from the Allergen-Free Baker’s Handbook – my three most popular cookies, chocolate chip, oatmeal raisin (gluten-free) and chocolate chunk brownie cookies. They are baked in a dedicated gluten-free allergy-friendly facility, are certified gluten-free, kosher, and vegan, and free of the top 8 allergens. Yes, you have heard right, I’m thrilled to have been picked up by Kroger, and to start out we’ll be available in Ralph’s in Southern CA, Kroger, and King Soopers. Which food(s) that you make are your sons’ favorites? They love shepherd’s pie, chicken nuggets, chicken tenders, hot wings with ranch dressing, chicken fried rice, (obviously they love chicken, right?) gnocchi, and Lennon’s favorite recipe in the new book is the chili mac, which I chose to put on the cover. When I’ve tried baking gluten-free, I make hockey pucks instead of bread! What tips can you give to those of us who don’t have your chef touch? I think the key is your flour mix. I’m a huge fan of making a flour mix with superfine brown rice flour as the base, at least for more delicate baked goods like cookies and cakes. Authentic Foods Superfine Brown Rice Flour is really the cream of the crop. For bread, I think the key is using rapid rise yeast. You don’t need conventional yeast with gluten-free bread, because you don’t have any gluten to coax in the multiple rises. One rise with gluten free bread is enough, and rapid rise yeast will do that. 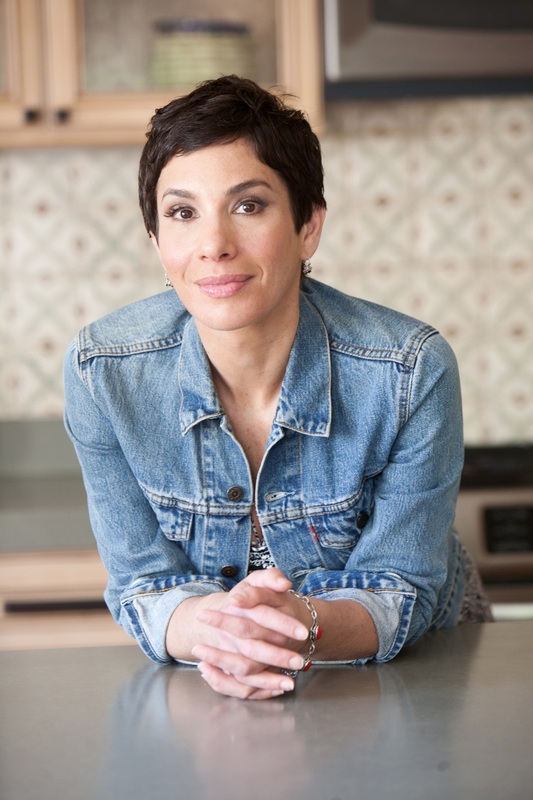 Susan Weissman is the author of Feeding Eden: The Trials and Triumphs of a Food Allergy Family, a mother’s story of her son’s childhood food allergies and the life of her family. Susan was a middle-school English teacher before turning to writing full-time. She writes for The Huffington Post and Psychology Today, has contributed to Parent & Child, Allergic Living, and various sites on the topic of allergies and parenting. She was a PBS Parent Expert. 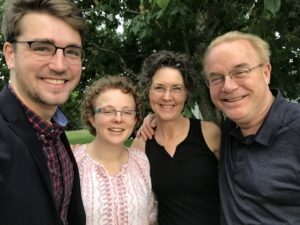 Susan holds an M.Ed and is committed to strengthening the relationship between teachers and parents, and providing information to expand awareness around an issue that affects so many of us. Her son, Eden, is now almost 10 years old. Susan, what made you decide to write Feeding Eden: The Trials and Triumphs of a Food Allergy Family? Like so many other food allergy parents, I felt that with all we had gone through, there had to be a way to make some sense out of what was happening, and maybe help others. After I started, and I began to achieve some rhythm with the project, I raised my sights a bit. 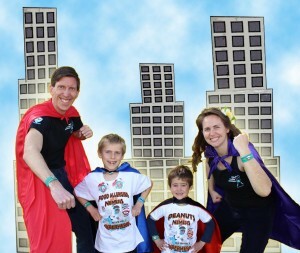 I decided I wanted food allergies families to know that they were not alone. And I wanted families, teachers, grandparents, even doctors and nurses, to understand what the food allergy life feels like for us. What I wasn’t quite prepared for after Feeding Eden was published was that so many parents would reach out to tell me that they felt like they were reading the story of their allergic family and their parenting experiences. For parents reading this interview, what hope or suggestions can you give those newly diagnosed or still struggling to get an accurate diagnosis? I’d say that parents should have hope and optimism as they help their children navigate their allergic condition but they must have the right doctor and accurate diagnosis. The first step: make sure parents and their doctors are communicating clearly about tests results and what I call “food history.” This is the key to defining an allergic child’s medical needs. In the first chapter of my book, titled Searching For a Savior, I describe how I bounced between specialists like a ping-pong ball, waiting for one of them to “save” Eden from his symptoms. The problem was that I needed to find an allergist whose treatment I could both understand and implement. You mention in your book attending a support group meeting. Do you still participate in one? What value do you find for parents managing food allergies in attending support groups? I do still participate because there is always something to learn and share. 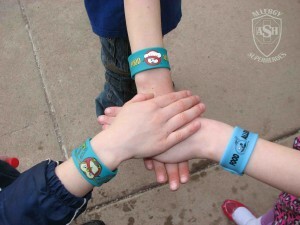 The great thing about a food allergy support group is that even if you don’t feel like sharing your personal concerns or questions (for example – how your mother-in-law just “doesn’t get it” or how hard it is to convince your teenager to wear their medical ID bracelet) simply listening to the other parents’ stories helps everyone. Time and again, I’ve been in an unfamiliar situation with Eden, and I’ll think back to other parents’ suggestions. It’s a great way to learn about resources in your community, vent frustrations in a safe environment and learn about the latest food allergy research and treatment progress. And it’s a way to “give back” even to people who don’t read the book. Do you have plans for an additional book? Right now, my focus is on bringing Feeding Eden into schools and family communities all around the country. Yes. 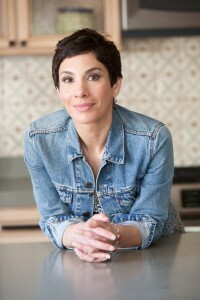 I write at www.susanweissman.com On my site, I have a blog where I post on topics of interest to all parents, including allergy friendly recipes and food ideas. I also contribute to The Huffington Post, Psychology Today and a site called Asthma Allergies Children, among others. Eden, thank you for being willing to answer some questions for our readers. Are you old enough now to carry your EpiPen at school? What about on the weekends or when you and your family go out – who carries your EpiPen? No, I don’t carry my EpiPen at school. I have two emergency kits, one is with the teachers and the other one is with the nurse. On the weekends my parents carry it. Or whoever I’m with. I have a lot of readers who have preschool age children with food allergies. 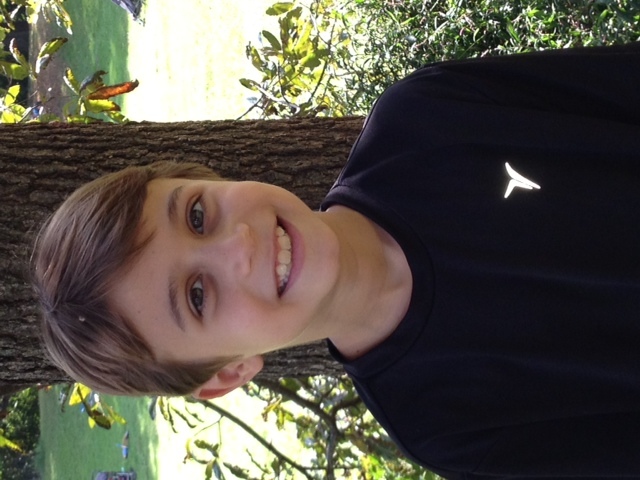 What can you suggest for these kids with food allergies when someone offers them food to eat? I don’t think I’ve been offered food I’m allergic to at school, even pre-school, really since everybody knows I’m allergic before the school year starts. Once in a after school class a PE teacher told everyone they could have a cookie that I knew wasn’t safe so I just didn’t take one. But if they can maybe they should say, “I have food allergies. Do you know what is in the food?” That’s what I say to anyone who offers me food and I’m not sure. Then I read the label too. Eden, when you go out Trick-or-Treating for Halloween, how do you manage your food allergies? I go out Trick-Or-Treating I try to take safe stuff, but there usually isn’t a lot. Does your family have any “rules” about the candy that’s brought into your home later? If something isn’t safe in my bag I give it to my sister and my dad. I don’t really care about the candy. It’s gets annoying that I don’t have as much to eat but I just like the fun of trick or treating. Do you know what you’re going to dress up as this Halloween? Thank you Susan and Eden! 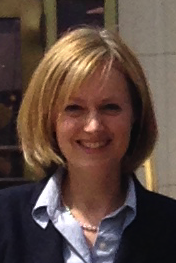 Kristen Kauke is a Licensed Clinical Social Worker who practices in IL. She was diagnosed with food allergies as an adult and is the mother of two sons with anaphylaxis to peanuts, egg, milk and soy. 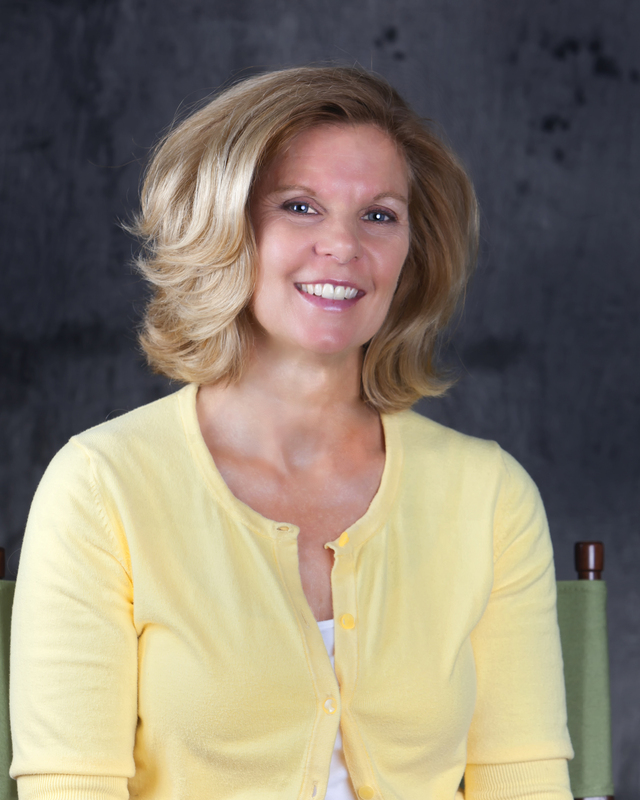 She is a regular presenter at Food Allergy & Anaphylaxis Network conferences across the country, and helps individuals cope with anxiety due to severe food allergies. Kristen, there is such an emotional piece to food allergies. What situations of bullying do you hear children with food allergies share with you? First, I think it’s important to differentiate between teasing, or “busting chops,” and bullying. Teasing/busting chops happens frequently, especially among boys. This is the condescending verbal banter that is a common way boys socialize, even among friends. Examples might include sarcastic comments such as , “Your food looks sweet.” Or put downs like “Why can’t you eat anything normal? It’s like you’re allergic to everything!” While these types of comments can sting, they aren’t necessarily bullying. Bullying is the repetition of negative actions on the part of one or more persons against another who has difficulty defending themselves. Bullying may be perpetrated in the following forms: physical, verbal, social exclusion, false rumors, threats, or cyberbullying (texting, social media). When it comes to food allergies, research tells us that most bullying episodes are in the form of verbal taunting. This might sound like, “I wish you would die. If I had a peanut right now, I’d throw it at you.” Physical examples of bullying related to food allergies have included waving, throwing, or touching the victim or their “safe food” with the food allergen. What can you offer to parents who find out their child has been bullied about food allergies? First and foremost, parents can LISTEN to their child when they report bullying. Thank them for sharing and acknowledge the difficulty of sharing such an emotional situation. Second, acknowledge their feelings and experience. This might sound like, “I imagine that felt terrible. I can see how you would feel angry and sad.” Finally, advise your child to react in the moment vs. later. As a parent, we want to help our children become stronger and stand up to the bully. What is the best thing and the worst thing for parents to do? The best thing parents can do to teach their child to react in the moment of verbal bullying is to teach and role play assertive language. One simple, yet powerful framework is the “I message.” I feel ____ because ____ and I need. For example, “I feel mad and unsafe when you wave around peanuts and I need to you take my allergy seriously.” Take turns acting out potential situations so your child gains comfort and understanding of speaking assertively in appropriate situations. When it comes to physical bullying, the best thing parents can do is help their child report physical instances of bullying to the adult in charge, such as the school principal. Parents are wise to keep records of incidents reported and outcome (or lack thereof). Parents could welcome the idea of change of classroom when applicable. They can also use the situation to help their child keep perspective on the powerful impact of our words and actions on others (i.e. siblings). Finally, parents can keep in mind that children can be resilient even in painful situations. When children learn to seek and accept help, they gain personal power. Parents want to avoid addressing the parent of the offending child directly, or advising their child to try to make friends with the bully. “Winning over” the other almost never works. How about the child – what’s the best thing for he/she to do in the middle of being bullied? And afterward? When it comes to verbal bullying however, a child should consider the following: keep a low profile; avoid the bully; buddy up, especially in places that are less supervised such as the playground as bullies tend to prey on victims when they are alone and unprotected; and hang with positive people – find places to belong. When bullied, it is important for the child to NOT provoke the bully in the following ways: tease the tease, make fun of the bully, or tattle on the bully for minor offenses, as these might just make the bully more aggressive and seek retaliation. Regarding physical bullying, a child should always seek help from an adult. For example, if there is a threat of physical harm or actual injury due to pinching, hitting, kicking, the child should report this to their parent, teacher, principal – anyone in charge who can take charge. Whether the bullying is verbal or physical, block bullies from social media. When should a parent seek professional help for their child? Are there certain behaviors to watch for? Signs that a child’s stress due to bullying has overwhelmed their coping abilities would include: decline in grades, difficulty falling asleep or sleeping too much, avoidance of friends, loss of interest in former hobbies or lack of participation in activities, irritability, frequent physical complaints (tummy aches, headaches), and a significant change in mood that last longer than 2 weeks. When a child demonstrates hindered coping, counseling should be considered to support their recovery. 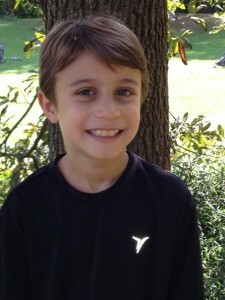 As a parent, I’ve experienced being bullied by other parents in my son’s elementary school who didn’t understand food allergies. It’s very difficult to stand up to another parent, especially when I thought that some of these women were my friends. What can you offer to parents who are being bullied? Parents can use the same coping techniques for both verbal and physical bullying as noted for the kids. Such situations cause us grief – there is a loss of friendship and support we thought we could count on. We experience disbelief, sadness, even anger. However, in the face of such challenges, sometimes avoidance of the offending parent is the best option vs. continued pressure. Sadly, sometimes a person just is not interested in the truth. We need to realistically gauge the situation. If our conversations and attempts to educate are going nowhere, we are wise to stop and wait it out. It is said that we are only able to hear what we are ready to take in. There is nothing we can do to speed this along for others. Should a parent deal directly with the other parent? Should a school administrator or some other professional get involved? Or should the other parent’s behavior just be ignored? In my opinion, it is best for parents to deal with school officials regarding instances that concern the health and safety of their child. Parents should report instances of verbal or physical bullying. They might consider giving their child’s teacher a “heads up” regarding teasing. Parents can also know they can control other factors of their child’s environment: they can avoid situations that tend to result in bullying episodes, they can choose to change teams, request that their teacher limit contact between kids, etc. I think it is helpful to remember that sometimes other’s resistance or anger is more about their own insecurities and fear of change. For our children, we can seek places for them to feel a sense of belonging – the park district, youth groups, community theater, volunteering, food allergy groups. The US Department of Agriculture oversees the national school lunch program and has a guidance document here. On page 25 of this document, it states “The school has the responsibility to provide a safe, non-allergic meal to the child if it is determined that the condition is disabling.” Setting forth this statement is one thing – the application of it depends upon educated cafeteria staff, accurate ingredient listings of foods and in some cases good luck! There are many ways to deal with the school lunch. We have opted for Morgan to ALWAYS bring his own lunch. We are very mindful of eating nutritious food, and the school lunches in our school district are based on a different idea of nutrition! Additionally, with Morgan’s multiple food allergies it has always seemed too risky to attempt finding a safe school lunch. However, we are probably among the minority of even food allergic parents in our school district. Many times I receive questions from food allergic parents wondering how to create a safe menu for their child to eat school cafeteria food. My first question to them is what is the motivation? Is it important to YOU that your child participate by eating a school “hot lunch” or is it important to your child? If it’s important to your child find out why. They may feel more a part of the crowd, and that is certainly important. If your child really isn’t thrilled with the idea, then maybe it’s best to send in a lunch made from home. If it’s really important to your child, your next step would be to contact the lunchroom staff. Your school district will likely have a supervisor over the cafeteria staff who could obtain ingredient information. You could review safe foods and watch for those as they are available on a monthly menu. If your school doesn’t provide such a menu, then you may need to rethink if it’s safe to send your child in to school to figure out whether a food is safe. Remember, looking at a food to determine its safety generally doesn’t work. And taste testing to see if a reaction ensues is horribly dangerous! Cafeteria staff will need to be trained to not cross contaminate foods. Picking up different foods with spatulas can cross contaminate the entire kitchen. If peanut butter & jelly sandwiches are made in the kitchen, and your child is allergic to peanuts, you may need to opt out of school lunches on pb&j days. You will also need to find out how the cafeteria will let you know if a product’s ingredients have changed. The menu may have been safe in September, but by February the safe bread roll may come with sesame seeds, for example. Our school district provides a parent meeting in the beginning of the school year for all families dealing with food allergies. Parents can read all ingredient labels of all foods served. The glitch is that there is no system yet available to tell the parents if the ingredients have changed during the school year. And there have been problems with that for the severely allergic children. Lastly, the cafeteria staff will need to be trained how to properly clean up. If your child can eat a few menu items, you will be relying upon them to clean up after unsafe foods are made in the kitchen area. It takes a lot of work, and I’ve known too many food allergic children to have reactions eating cafeteria food. Yet some families have managed to find certain safe foods for their child to eat at school, and all is going well. It’s up to each family to find what works for you. After meeting Sara Shannon whose daughter, Sabrina, died at school after eating cross contaminated cafeteria food, Morgan and I decided his food allergies were too severe to take the risk. Your state or school district may have guidelines for schools regarding special dietary needs especially for those students with food allergies. Check out the resources available and be cautious! AllerSchool is a complete end-to-end solution designed for the management of food allergies in K-12 school systems. It helps food service departments and school dieticians to manage complex issues involved with serving everyday meals to students with varying combinations of food allergies and dietary restrictions. is an interview with one of the two creators of AllerSchool, Mr. Dilip Chopra. Mr. Chopra, can you tell us how you came up with the idea of AllerSchool? Who or what was your inspiration? The inspiration behind this project was my daughter, who has had food allergies since she was only a few months old. When she started school, we quickly realized the absolute need to be able to look into the ingredients of the food items served at the school cafeteria. The process of securing reliable ingredient information was so frustrating. We, as a family, started thinking that there had to be a better way! It is not that the school authorities did not want to cooperate with us, but the process of getting accurate information was just not very organized in general. As the years passed by, we came across other parents in similar situations but with children that had different combinations of food allergies, as well as different levels of allergic severities. It became clear that there had to be a system that could quickly identify problem ingredients and generate safe food choices without requiring parents to go through the cafeteria’s hundreds of ingredient labels. We also realized the challenge that school food officials were facing by trying to accommodate all of the different combinations of food allergies into their daily menus. As a result, AllerSchool designed to help students and their parents identify safe meal options, taking into consideration each student’s unique combination, and to help the school districts efficiently manage the complex issue of serving their students safe meals. AllerSchool was made a reality with the help of my friend Atul Ahuja, the other co-founder of AllerSchool and the technology architect behind this effort. Please tell us about AllerSchool and how it works ‘in action’? AllerSchool is a comprehensive solution with a lot of ‘bells & whistles’, all aimed at making it easier for students with food allergies, their parents, and the school food services departments to efficiently identify safe food choices from existing meal options at the school cafeteria. Basically, a parent/guardian registers their student and their food allergy restrictions and based on that unique combination of food allergies, the system securely logs the parents on to a ‘parent portal,’ where they can view safe options for their child from the school’s existing menu. The parents are able to view detailed ingredients and can place direct electronic meal orders with the school cafeterias days, weeks, or months in advance. AllerSchool aids school’s food services departments by automating the complex process of identifying safe meal choices for their students with allergies. It eliminates the process of manually identifying ingredients, including their many food derivatives. These tasks can only be efficiently carried out with the help of automated systems such as AllerSchool. What do you hope it will accomplish for school districts? For school districts, AllerSchool has the potential to increase meal revenues by increasing the number of students purchasing meals at the cafeteria. It also can reduce the risks associated with serving the wrong foods, improve parental involvement, and increase operational efficiencies that come with automation. By simplifying some of the complex issues related to food allergies, we hope schools are able to offer more inclusive meal opportunities for a larger number of students with food allergies. How many school districts are currently using AllerSchool? What do they think about it? Has there been any upgrades or improvements made based upon user suggestions? The AllerSchool system made its debut in Colorado Springs District11 last fall. Since most school districts implement new systems at the beginning of the school year, we hope to have more implementations this fall. We are currently talking to several school districts across the country which have expressed an interest in the system. Both parents and the food services departments have expressed great satisfaction with the system. Improvements based on user requests are an on-going process at AllerSchool. We are continually upgrading, improving, and adding new features to the system. How do you ensure that if ingredients in a product change that parents and students will know this? The system is a web-based, “real-time” system. Ingredient changes need to be communicated from the school food suppliers to the school food services and, if there is a change in ingredients, the district officials must make the change in AllerSchool, which is then instantaneously is reflected in all information that is available to parents. The system is in no way designed to replace manual responsibility and diligence at different levels of the food distribution process. Diligence, therefore, is an essential element of the process. Does your system address cross contact in the cooking process? If so, how? The AllerSchool system is designed to identify, detect, and interpret potentially unsafe items for individuals considering their unique set of food restrictions. It is not designed to address the issues related to cross-contamination. That falls within the realm of exercising care and diligence that must be carried out during the cooking and preparing processes. With the AllerSchool system, is peanut butter still being served in cafeterias with your system? The AllerSchool system has a unique feature that assigns an “Allergy-Friendly Index” (AFI) ranking to all recipes that are served at a given school district. In a nutshell, this is an index ranking that is computed based on the overall macro-allergy profile of a school district. So if peanut products are on the planned menu for a district with a large number of students with peanut allergies, the school food services will see a very low AFI ranking and a “flag” for menu items with peanuts, peanut by-products, and peanut derivatives. It is then up to the school district to decide if they still want to offer peanut products. AllerSchool provides the tools to make such decisions. We (along with D11) were selected as the semi finalists in the Operator Innovations Awards by the National Restaurant Association yesterday. Here is the news link for their announcement. It is an honor considering we started as just a small grassroots effort and we were selected under the ‘Food Safety’ category for food allergies management nationally. The award also increases the awareness of the subject in the food services industry in general which can only help the efforts of our entire community including FAAN. Inhalant dairy allergies & a creative solution – a robot! Below is an interview with Lauren & her Mom, Melissa. Lauren’s inhalant dairy allergies forced a creative solution with going to school! Lauren – can you tell me how old you are and what your allergies are? I am 14 years old and I’m allergic to all forms of dairy including goat milk. Have you ever gone into anaphylaxis? I have been in anaphylaxis over 40 times. If my EpiPen wears off I need more EpiPen before I reach the hospital. Sometimes I only need one EpiPen if it’s just a little contamination, but many times I need at least two EpiPens and then more meds at the hospital. If I do not take my EpiPen immediately I get VERY sick. In the last few years I have gotten better about taking my Epi right away and this helps me not get as sick as I used to get. One time I swallowed a bite of cheese without knowing it was “real” cheese ( I thought it was my soy cheese that I always eat) and my throat hurt immediately, then I got a blister on my lip and then I got red all over my body like a sunburn. I was throwing up and felt very sleepy. I started wheezing. I began getting hives that burned all over. I was screaming that my back burned. All of this happened in minutes, and got worse until we arrived at the hospital. My parents said my eyes rolled in back of my head in the trauma room. They said the doctors were very helpful and knew exactly how to help me. I fell asleep. When I woke up I felt better and we spent two nights in the pediatric intensive care unit. Tell me about your robot. How does it work? Can you see the students and teachers as you sit at home? 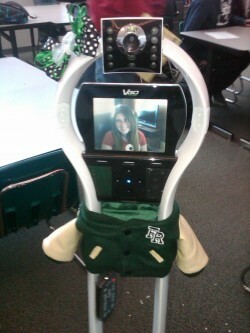 The Vgo works like Skype on wheels. I log on at home and then I drive my Vgo to class from home. I can see the teacher and the students, and can even work on group projects together or with a partner. If I want to raise my hand I press a key on my keyboard and a light on the robot flashes so the teacher can call on me. How did you feel about your safety at school with your food allergies before getting your robot? And now? I was always worried about what was going to happen to me that day…would the ambulance have to come to school again? Would I be careful enough? And now that I go to school with this robot I feel safer BUT I still want to go to school. Do you participate in extra-curricular activities like sports, clubs or dances? How do you socialize with your friends? When my friends come over they need to be sure and wash up and don’t have it on their clothes. When they come in and they don’t eat obvious dairy before they see me (like pizza cheese doodles or Doritos). Sometimes I go to other friends houses if they clean before I come. Sometimes I go places with them if there is a low risk of contamination while I’m at a place. But there is a high risk with most things. I try not to take high risks. Melissa – when did you know that Lauren was no longer safe at school and that something needed to change? We knew that Lauren was no longer safe in school when she went to one of her classes and walked into the room after they had a pizza party and her throat began to hurt. The teacher washed down everything correctly but it was still airborne and enough was still around to cause a significant reaction. She took her EpiPen, the ambulance came and took her to the hospital and she was on steroids for a week that time. Did Lauren have a 504 Plan and Health Care Plan prior to having the robot? Yes she did, we felt that it was important to have a 504 & a Health Care Plan , but our needs became above and beyond what the school could handle. To keep her safe at school would mean to eliminate dairy. Also when she has a reaction she needs to take epinephrine immediately or she becomes way too sick. We could not take the chance that she would not get medicine immediately. Also her doctor said we should take her out of school before something happens that we can’t “get back” from. How did you get the school to pay for the robot? Lauren’s home bound supervisor was working hard on finding a way for Lauren to attend school safely. This past summer he was reading “Sports Illustrated” and read a story about a boy in Texas who went to school using a robot. He thought that this robot would be the safest way for Lauren to get to go to school. He went to the Asst. Superintendent to ask for her support to let him try this “robot” out with Lauren. He purchased the unit out of his home bound budget. His concern was having Lauren spend her freshman year in school. What do you hope for Lauren as she ages through high school and goes into college and beyond? Lauren wants to work, go to college, become a forensic scientist, get married and start her own family. Our hope is to find ways to keep her safe through living out all of her dreams. Is there any hope for her dairy allergy to lessen? Our hopes for Lauren is that the Chinese herbal treatment that she is on (from Dr. Li at Mt. Sinai Hospital in NY) will work! First the hope is that she will stop reacting from inhaled dairy, and then of course we wait for the day of the cure. In the mean time we continue to remind her to wash hands, keep her hands out of her mouth, remind others to wash hands, especially when they come in our home. And remind ourselves to keep our eyes open for hidden dairy, or airborne dairy. Also we need to read labels over and over and find ways to live in a dairy laden world. Dairy is in so many things…and in surprising places. Lauren has been in anaphylaxis so many times because of a combination of factors. First it was hard for our family to understand how sensitive she was….it started with eliminating dairy from my own diet so I could continue to nurse her but it went on to having to eliminate dairy from our home because I would contaminate her from the dishwasher items in addition to cross contamination issues. Dairy has been found in places I never would have thought of. We have had so many mistakes because we could not always grasp the seriousness of invisible dairy and because of human error…like manufacturers that make mistakes in labeling. We now know that more than 20% of medications have dairy. We find out things like that the hard way. Food labeling laws have made life MUCH easier for us. Restaurants like in Disney World makes our life easier when we go there. And people who “get it” also make life easier. Scholastic News also ran an article on Melissa and her robot. You can read that article here. Carlo, when we spoke last year, you were getting ready to attend the University of Chicago. You have allergies to Dairy, Wheat, Eggs, Peanuts, Tree Nuts, Soy, Sesame, Fish, Shellfish, Most Fruits and Some Vegetables. What did you find most difficult with eating in a dorm cafeteria on a daily basis? What I’ve found most difficult is finding a good variety of protein for me to eat. There hasn’t ever really been a problem with there being food for me to eat, but there have been some difficulties with the variety of food, and I’ve been forced to have the same foods over and over, which although it keeps me fed, is somewhat frustrating. There’s always salads and some vegetables and fruits, but protein is harder to come by. The dining hall is separated into various stations, each serving a certain type of food. There is a Euro Station–mostly carved meats (but almost always with sauces/dressing) and some sort of vegetables, the Halal Station, the Kosher Station, the Harvest Station that serves vegetarian dishes, the Pasta Station, the Salad Station, the Deli Station, the Pizza Station and the Grill Station. You can go around to any of the stations and take what you want, making a meal out of whatever any of the stations are serving that meal. I have to avoid most of these stations. The Pasta and Pizza Stations I pretty obviously must avoid, and the Halal Station and the Harvest Station frequently serve things I can’t have, because of their restrictions on certain types of foods. The Kosher Station occasionally serves things I can eat. The Deli Station is full of cross-contamination, as is the Salad Station. The Grill Station is just a grill. It makes hamburger patties (you can add your own bun and toppings later), grilled chicken breast, and grilled cheese (which is prepared on a separate grill from the hamburgers and chicken). It makes these things for lunch and dinner every day, which provides a nice stability to the ever-changing options that the other stations offer. Did you have any allergic reaction? Thankfully, I have not had any reactions while at college. I think part of that is because I’ve been extra careful, perhaps even more than I usually am. A large part, though, has to be attributed to the dining staff, because they really are trained about cross-contamination and they are very willing to change gloves or use a separate pan. That said, I try to stay away from stations that could pose any sort of risk. Did you find any other students dealing with similar allergies? I haven’t really found anyone else with comparable allergies, both in number and in magnitude. There are a few people with intolerances (lactose intolerant) and maybe one or two people with peanut or tree nut allergies, but there aren’t very many people with allergies or anyone with allergies coming close to how many I have. That said, everyone I’ve met has been knowledgeable about food allergies or very interested in learning about them, so I’ve felt safe among my peers even though they don’t have allergies. How do you feel about next semester and eating in the dorm cafeteria? One of the things I’m doing over this break is meeting with my nutritionist at Mt. Sinai’s Jaffe Food Allergy Institute. Hopefully, I’ll be able to work with the nutritionist to develop strategies for me to successfully maintain a healthy diet eating in the dining hall. Then, I’ll take those recommendations and meet with my contacts at school, to work it out. I’m also going to sit down again with the dining hall staff and my contacts in the administration and see if we can’t get some of the things that have been proposed put into action. Other than that, I’m really looking forward to it. I’m excited for my classes and looking forward to Winter Quarter, despite the weather. For your sophomore year, what living arrangements are you planning? At the University of Chicago, the dorms work in a house system (kind of like Hogwarts). In your first year, you are placed into a house that contains ~40-100 people, first through fourth years. You can stay in that house for all four years, if you would like, or you can move off campus starting your second year. I’m planning on staying in my house, because I love the people in it and living on campus makes everything significantly easier. I may, however, start going to the grocery store more frequently and making more of my own meals to avoid the dining hall. I would, in that case, change my meal plan from the unlimited (which is mandatory for all first years and really nice) to one that more fits the changed situation. Did you go hungry on any given day because of a lack of safe food? Thankfully, since the Grill station is always open and serving plain chicken breast and plain hamburger patties, there was never a day where I went hungry. There were certainly days where the lack of variety was frustrating, or two or three day stretches where the only safe food for me would be from the Grill station, but I was never walking around constantly hungry, except as much as all college students on the go do, but that’s just the nature of dining hall food. Based upon your experience, what would you tell a current high school senior with food allergies looking at college? Really, the best thing I can say to a high school senior is that food allergies don’t need to be another thing stressing you out. The entire college process is an arduous one, and you don’t need another stressor. Pick a school that you think is the best fit for you academically and socially. All the schools I considered and all the schools that my friends with food allergies go to have been pretty good about dealing with food allergies. Don’t let food allergies dictate what college you go to. You will be able to work with the dining services staff, or just go around them and provide for yourself, if need be. I’m not going to lie and say it will be a walk in the park, but you can successfully and safely manage your food allergies in college. It isn’t easy, but nothing about living with food allergies is. That doesn’t mean that it isn’t possible, and that especially doesn’t mean that your food allergies will hold you back from having a happy, successful, normal life. Don’t let your food allergies add yet another stress to an already stressful process and don’t let your food allergies stop you from doing what you think is best for you academically and socially. Again, I hope these help! 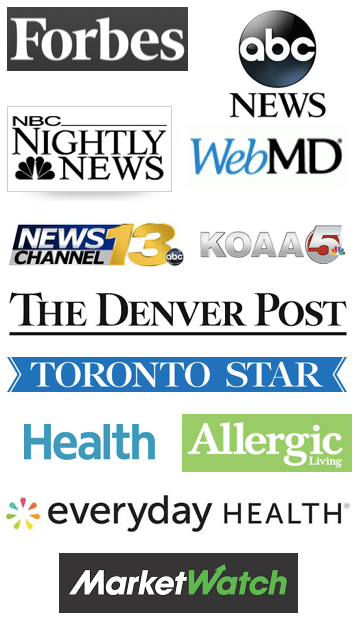 Daniel F. Soteres is on the clinical faculty of the University of Colorado Health Sciences Center in Denver, and has been in private practice at Asthma and Allergy Associates and Research Center in Colorado Springs and Pueblo since 2005. Dr. Soteres received his medical degree in 1998 from Tulane University School of Medicine in New Orleans. He simultaneously earned a master of public health degree, completed a four-year combined residency in internal medicine and pediatrics, served as chief resident in internal medicine, and completed his fellowship in allergy and immunology. Dr. Soteres, there are many research studies currently trying to find a cure for food allergies. Which research studies do you feel are most likely to yield a cure? There are a bunch of great studies going on right now and I believe that the next 10 years will reveal a lot more options for those with food allergies. Currently food-specific and non-specific therapies are being evaluated. The therapies that are most promising are a Chinese Herbal formulation, FAHF-2 and Oral Immunotherapy (OIT) protocols that may be given with anti-IgE antibody (aka. Xolair). FAHF-2 is a mixture of 9 herbs that completely blocked anaphylaxis during a peanut challenge 5 months after therapy. This has been studied in Phase I clinical trials and was safe and effective. There were 19 subjects with peanut and tree nut allergy. Two patients had some mild GI symptoms. Currently there is a Phase II clinical trial for safety and efficacy for patients 12-45 years old with peanut, tree nut, fish, sesame, or shellfish allergy. Let’s define Tolerance versus Desensitization. Tolerance means that the food can be ingested safely despite long periods of avoidance. Desensitization means that protection is dependent on regular ingestion of a food allergen. If dosing is interrupted or discontinued, the protective effect might be lost or decreased. Oral immunotherapy (OIT) is a desensitization process. Small amounts of a specific food are mixed in a safe food and ingested in gradually increasing doses. Dose escalation occurs at a hospital or clinic and then daily regular doses are continued at home. This desensitization protocol has been successful in patients with milk, egg, fish, peanut and other food allergies. From the medical literature some patterns have emerged: 10-20% of patients fail the initial build-up phase due to reactions; 10-20% do not achieve the full maintenance dose. So, overall 50-75% achieve and tolerate the recommended maintenance dose. We do not know if those who use lower maintenance doses will become tolerant over time. Humanized Monoclonal anti-IgE (Xolair) is currently approved as a treatment option for people with moderate to severe asthma. It has also been shown to increase tolerance to peanut exposure, but the study was stopped early. ********Despite all the research many questions remain: Using anti-IgE and OIT together has not been studied yet. Hypothetically, the anti-IgE should reduce the risk of reactions during the OIT procedure. For OIT more studies are needed to determine the optimal build-up schedule, the optimal maintenance dose, ideal duration, degree of protection, efficacy at different ages, severity and type of food allergies, and the need for patient protection in patients treated at home. My 15 year old son, Morgan, is currently receiving allergy shots/immunotherapy for his environmental and pet allergies. Would that disqualify him from ever participating in a research study if he were continuing to receive this treatment? Many of the kids (and adults) who are allergic to foods are also allergic to environmental allergens. I do not think that allergy immunotherapy of environmental allergies will exclude Morgan or anyone from participating in food allergy research studies. Would children in puberty not be good participants in a research study? Are there other criteria that would automatically disqualify a person? Clinical research trials are designed with specific inclusion and exclusion criteria. These studies will have to be done in adolescents as well as very young children. The only pitfall with the adolescent age group that I can think of is the issue of compliance. If an investigator (the physician in charge of the study at a site) determined that a patient did not have the maturity to take medicines, pursue regular follow up visits and responsibly keep a short daily diary then they may exclude that patient from participating. However, this is a rare occurrence and I don’t think it will prevent study of food allergy therapies in the adolescent population. I have heard that 15 to 20% of participants in Wesley Burks’ research study of the ‘peanut flour’ have had to drop out of the research because of severe reactions. And that other children have had to drop out because of the onset of Eosinophilic Esophagitis. This seems frightening to me to subject a child to these possibilities. Yet there are those children who are now eating peanuts or drinking milk, who never thought that would be possible! How does a parent wisely choose whether their child should participate in a research study? Each parent needs to collect information about the study and discuss it with their child. Next, they should discuss the study with their allergy doctor and the investigators performing the study. Specific questions should revolve around safety precautions taken during the study especially at times when you or your child may be asked to eat one of your food allergens. Desensitization protocols are not for everyone. However, the process of build-up and maintenance dosing to their food allergens can be quite liberating for individuals and families who live in fear of severe reactions. The complication of Eosinophilic Esophagitis (EoE) has been reported but this has not been a common problem with OIT. Does your office participate in any of the research? If so which one(s)? We are not currently involved in any of the current research on food allergy. These studies are limited to large academic centers. Our research center is ready to go when the academic centers begin preparing some of their treatments for FDA approval and mainstream care. What is the peanut desensitization protocol that your office is doing? The peanut desensitization protocol that I am using in my office is based on the current protocols that have been published in peer-reviewed journals like the JACI. I don’t call it “research-based” because we are not doing this in conjunction with any pharmaceutical companies or with the academic centers that have been doing research on this issue. To my knowledge there are about half a dozen private practice clinics around the US that are doing the same protocol as I am doing. Here, we have performed peanut desensitization on about 6 kids and one adult with fairly good success. One child had a systemic reaction during the build-up phase and they dropped out. The adult was doing very well, but had a systemic reaction shortly after going on maintenance. He also decided to stop the procedure. As I stated earlier, peanut desensitization is NOT for everyone. I’ve probably talked about a dozen families out of pursuing it. Recently I advised a family whose child has EoE not to do peanut desensitization due to the risk of worsening the condition. Food allergies comprise much more than just a physical component. The emotional aspects of food allergies continue to rear up with each stage of development in a child’s life. A child in preschool might not notice receiving a ‘safe snack’ from their snack bin; while an elementary child will wilt at the teacher giving them something different to eat. A middle school child might rebel against food restrictions, while a high school age child may go further and tempt fate by eating one of their food allergens. My friend, Gina Clowes, of AllergyMoms, and I have had multiple conversations about the emotional piece of the food allergy diagnosis. Below is just a piece of what we’ve experienced with our children at school, and our hope that our children can overcome these sometimes difficult situations to better understand their food allergies, yet not be defined by them. Nicole: When my son, Morgan, started preschool I was pretty emotional about him leaving me for even a few hours twice a week. I’m sure many parents, especially mothers, feel that way if their child hasn’t been in daycare. Morgan had been at home where I could carefully control his environment and monitor his severe food allergies (peanuts, tree nuts, sesame, fish & shellfish), his eczema, asthma, and severe pet and environmental allergies. I was so upset when looking for a preschool (this was in 1999) that every private preschool that I interviewed in our city (Colorado Springs), wouldn’t admit our son. They either didn’t want the liability of a child with severe food allergies, or they said they weren’t willing to be trained on the EpiPen. I never thought that I’d receive that response. I figured that if I trained the staff how to administer an EpiPen, and if they kept his allergens out of the classroom, he would be safe at school. I didn’t want to fight for my child to go to a school that didn’t want him to attend. Instead we found a public preschool that provided everything we wanted, and it was a wonderful experience for him and for me. Morgan was always fine to have his own snack that was different from the others in the classroom. He knew it was a safe snack, and he felt included. I had to mature emotionally in order to advocate for my child – asking for just what he needed and not more. Gina: The first year my son attended preschool, I did things the way many allergy moms had done before me. I explained my son’s allergies and trained the staff on avoiding, recognizing and treating allergic reactions. He had his own snack every day and for birthday celebrations, the other parents were supposed to let me know a few days in advance of bringing a treat, so that I could bring something similar for my son. One day, I arrived to pick him up a few minutes early and I peeked inside the classroom. I saw 15 kids laughing and devouring beautifully decorated cupcakes piled high with icing and sprinkles. My son sat there looking forlorn eating wheat-free pretzels and drinking spring water. Something clicked in me and I wondered how a teacher would think it was okay to serve 15 three year-olds and leave one sitting there. How can it be a celebration when one child is excluded? It’s one thing for our kids to have to bring their own treat to a friend’s birthday party or to a relative’s house for a holiday. To me, that is understandable. But school is for learning. And if a teacher or school administrator decide to allow children to celebrate birthdays or other holidays at school, I believe these celebrations should be inclusive. Imagine a video of one allergic child from kindergarten through first grade, second, third, fourth, fifth…dozens of birthdays over the years..where the kids look longingly at the delicious cupcakes being passed around and there is that same child who cannot partake. How can anyone think that is okay? So, I’ve never sent a safe snack box to school for celebrations, and I feel so grateful that my son has been included in safe celebrations. However, I have softened my stance over the years and I do realize that what works for my family may not be what works for others. If parents and their children feel happy with the “Safe Snack Box” option, I’m happy they’ve found something that works. Nicole: My son never had upset by eating a treat that’s different from everyone else, and I guess I’m lucky that he didn’t! He has always viewed it that his snack is safe, and that makes it the best food in the world! When he went to camp during his 6th grade school year – a ‘rite of passage’ with all 6th graders in our school district – he brought his own safe food rather than rely on the camp cafeteria to cook for him. So many of his classmates were envious of how wonderful his food looked in comparison to theirs! They begged him to save them just a bite or two!! Gina: The other issue is that this situation (birthday cupcake celebration), is a school activity regardless of who brings in the treats. Teaches and/or administrators make the call as to whether to serve the food or not. We need to get away from the thinking that “we” (allergy moms) have to convince other classroom parents to include our kids or keep them safe. That may be the case for playdates, but this is school. Children with food allergies have a right to be included at school. Most schools have a policy that students can only give out birthday invitations in the classroom, if they are going to invite all of their classmates. Understandably, the teachers don’t want any students to feel excluded. But clearly, when in-class birthday celebrations occur and everyone is sharing cupcakes except you, you’ll feel left out. And there are many, many reasons for restricting food or foods from the classroom anyway. We have a nation where 63% of adults and now 35% of American children are overweight or obese. Let’s find a healthier way to celebrate! Nicole: Another emotional aspect of food allergies at school that we have found is the potential for bullying. It seems that some children are just looking for how to make others feel inferior, and sadly food allergies makes a child such an easy target! And some parents I have dealt with have their own methods of bullying too! My son’s bullying experiences have been taken very seriously by the school administrator(s) and immediate and decisive responses have been given toward the bully. In fact, the first incident where a child bullied my son was in 1st grade. He threatened Morgan with a peanut butter cracker saying, “I’m going to kill you with this cracker!” Morgan didn’t take the incident very seriously, yet his friend did and reported it to the playground monitor. The offending child was hauled into the Principal’s office, his parents were called and he was suspended for the rest of the day! It was a decisive move, and I really appreciated the Principal taking swift action. The wonderful thing is that today Morgan and this boy are good friends! And they don’t even have to talk about the incident anymore. I didn’t get into the middle of the incident, and never felt the need to discuss this little boy’s actions with his parents. I allowed the elementary school Principal to do her job, which allowed me to work on forgiveness – which is very difficult when someone threatens your child! And it also allowed me to see how our school district needed guidelines for severely allergic students to assist schools to deal with situations like this. Gina: Regarding the bullying issue, both of my kids have been bullied at different various times. It’s never fun for a parent to have to deal with this but when you know your child is vulnerable medically, it’s even more disturbing. I agree with you though that some of this starts with the parents. And that is why I think it is important for allergy parents to really become informed so they can truly advocate for their child. And you can still do this nicely. A lot of times, teachers will ask the allergy parent to write a letter, or speak in front of the classroom asking them not to send in a particular food or to please consider bringing something safe for the allergic child. I think this approach sets the wrong tone. It perpetuates the notion that accommodating allergic children is optional or that it is up to the other classroom parents. This is a potentially life-threatening medical condition and if accommodations are required, they should be implemented. It should never be left to the good nature of other classroom parents. So before I dismount from the soapbox, let me say that I also really believe in the adage “If it ain’t broke, don’t fix it.” I know parents who have taken a completely different approach from mine, and it’s worked beautifully, and that’s terrific. Nicole: Thanks Gina for a great conversation about just a few of the emotional aspects of food allergies in schools. It’s emotional for parents and for children with food allergies. Together we can help our children grow into capable advocates for themselves! Michaela, what food allergies (and intolerances) do you have and how old are you? I am twenty years old. I am moderately allergic to wheat and have severe gluten intolerance and other intolerances to beef, pork and lemon. I have not been tested for Celiac disease with a biopsy because I went off of wheat and noticed how much better it made me feel and didn’t want to start eating it again. GI doctors require with celiac tests that I still need to be eating wheat and my doctor suggested that I not do that. What happens if you get exposed to your allergens? I only have a reaction when I ingest the foods. My stomach hurts really badly and my intestines are usually unhappy. I can sit in a bakery and have no issues at all. How did you handle your wheat food allergy and intolerances in high school? High school was an interesting experience. I was in the high school band for all four years. I kept trying to explain to my band director that it would be great to go to a restaurant that had a huge salad that I could eat and then I would have a few snacks when we got back to the hotel. I would at times sit in an Italian restaurant, because that is what the band director picked, and could not eat anything. I had found that even some Caesar dressings had wheat in them. It was a very frustrating event for me even though I knew I had snacks at the hotel. Another experience that I had in high school was with the Colorado Springs Youth Symphony’s Pikes Peak Winds. I had the opportunity to go to Japan with them. I was really nervous at first. However, my mom helped me out by finding a translator that made little cards and sheets of paper with all the food that I could and could not eat. I went over there for about 11 days. There were some meals that had an unknown ingredient in them, and I decided that it would be a poor idea to eat it because I did not want to get sick. I brought little snacks in my suitcase so that if I did not eat a meal I could at least have a snack. I brought white rice crackers and apple sauce. Most of the kids on that trip watched out for me and helped me as much as possible. I lost a little bit of weight during the trip, but I was also really busy and had an amazing time. Food for me on that trip was definitely not the sole focus. What is your experience of colleges’ awareness of food allergies? Some Colleges’ awareness is surprisingly slim; at least that is what my experience has been. Though the University of Denver did an excellent job with accommodating me when I went to a Music Camp there. It was about a 2 week camp and an amazing experience. My mom got in touch with the head chef at the dining hall that we were going to be eating in. The chef had said that he could cook all of my food and I would not have to bring too much. We gave him a list of the foods I can and cannot eat. I came up with a menu for him to follow so at each mealtime, my meal would be ready. They made some of the best Turkey Burgers I have ever had. And the chef made some amazing sweet potato fries. Man oh man was it good. I did not get sick once, and they were truly very good at accommodating food allergies. My experience at Colorado State University was a little different. At first they said that they would be able to accommodate my food allergies. Though they sent a menu for the week at band camp, and there truly was no way for that to occur. So I ended up bringing my own food that I had in my dorm room refrigerator. I would do all the band stuff at camp, and then I would come back and eat whatever food I had brought by heating it in the microwave. Many of the students were really jealous of the fact that I had so many different foods in the refrigerator and was wondering if they could have some. I said no, I was not trying to be rude, because I only had a certain amount for the week. Overall that was another good experience with food. What issues did you run into when looking at colleges in Colorado and their awareness of food allergies? Well I found a few issues. At the University of Northern Colorado they had said that I could live in an apartment or I could live in the dorm and use the kitchen in the basement area. However there are many people who use that area to cook cookies and cupcakes. The last thing that I wanted was cross contamination within a meal that I was cooking. And there was a significant possibility that not everything is perfectly clean. So as wonderful as that had sounded, that didn’t seem to work for me. The apartment idea felt like too much to take on. It would be cooking and grocery shopping in addition to going to school at the beginning of entering college. The other school that I was looking at was Colorado State University. They had stated that they could handle everything and anything. Though the more questions that I had asked with my food allergies, the more it became apparent that it might not be the best choice. They demanded that I live in the dorm, and their awareness was more about peanut allergies than celiac disease or other intolerances. They weren’t willing to change their menus for me – they just wanted me to find something to eat that was already on the menu and they weren’t good about listing ingredients in the foods. Since you didn’t live in a dorm, what did you choose to do for living arrangements your freshman year of college? And now? I chose for my freshman year to live at home because it seemed like a safe place to be. I was a little nervous moving out because of some of the experience I had in the past with people not necessarily understanding my food allergies. Though today I have moved out and live with one roommate in a house. He and I get along great. I have my food and he has his. I have one pan that I cook most of my food in, and he has his. It has worked out just perfectly. How do you handle your food allergies now? Today I eat probably about 99% of my meals at home. Probably about once every six months I will go out to P.F. Chang’s with friends because they have a gluten free menu. Though I know that most people my age have food always surround them. So instead I invite people over to my place and cook them a good meal, and then everyone is happy. Most people are surprised at how good Gluten free food really is. Do you tell your dates about your food allergies? How do you go about doing that? I do tell my dates about food allergies. At times they have wanted to go to a certain restaurant that I can’t eat anything at. They wonder why I can’t eat there so I explain what happens to me when I do eat wheat. Most of them understand and just want the best for me. Usually after that they let me pick the restaurant so that I know I am eating at a place that is fun and safe for me. My personal favorite is P.F. Changs! Mom’s Comment: We have found that the colleges/universities that cost more in tuition are much more likely to have sound accommodations for students with food allergies. That doesn’t mean that a state university won’t make accommodations – but as in the case of offering an apartment as an alternative to dorm living, the alternative may not be easy for a college freshman to work with! Carlo, how old are you and what are your allergies? -I am 18 years old. I am allergic to Dairy, Wheat, Eggs, Peanuts, Tree Nuts, Soy, Sesame, Fish, Shellfish, Most Fruits and Some Vegetables. Have you ever experienced anaphylaxis? 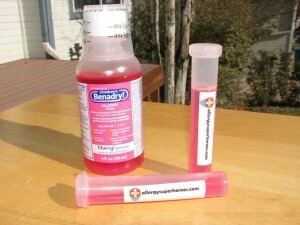 -I have been very fortunate to have not ever experienced anaphylaxis. Since you haven’t experienced anaphylaxis to your food allergens, how did you find out you were allergic to the foods you listed? – My pediatrician was very good about food allergies and suggested to my parents that I get tested, when I was just a newborn, because he suspected that I was a person who was likely to have allergies. What types of symptoms do you experience if you ingest your allergens? Have you ever experienced contact or inhalant reactions to any of the foods? -I am anaphylactic to Dairy, Eggs, Peanuts, Tree Nuts, Sesame, Fish and Shell Fish. Wheat is a gastro-intestinal reaction. Soy and some fruits and vegetables cause me to develop hives, throw up, feel my throat tingle, wheeze and symptoms such as that. I start to wheeze and cough if I’m in the same room as an egg being cracked. I haven’t had any major contact or inhalant reactions. Do you still carry an EpiPen or two “just in case” ? How do you carry it? -Yes, I always carry my EpiPen. It fits right in my pocket, no matter what I’m wearing (and I wear some tight, tight pants), so it’s not really a burden to carry it around. You’re graduating from high school in a few months. Where do you plan on going to college? –I’ll be attending the University of Chicago next year. Did your food allergies play a part in your choice of a college? –No, my food allergies didn’t play a part in choosing a college. I applied to the colleges that I wanted to go to and was confident that I could make it work. How are you planning on managing your food allergies in college? Will you live in the dorm or in another living arrangement? –I’ll be living in a dorm. I’m going to sit down with the Dining Services and talk over my allergies and what they’re capable of doing. When I was touring UChicago I had a meal in the dining room, and they have all the allergens labeled and all the ingredients displayed, for every dish, so I’m confident that I’ll be able to manage my food allergies well and eat in the dining halls. I’m so impressed that the University of Chicago labels all of their food ingredients in the cafeteria! Did other colleges/universities that you debated attending do the same thing? Or is UChicago special in this way? -A lot of the schools I considered attending did the same thing, or had something similar. I’ve found that, because there are so many different special diets that people follow, college dining services are very on top of disseminating what goes into their foods and making sure that there isn’t any cross contact–a fact just as important to a strict vegan as someone with major allergies. In the past I’ve attended programs on college campuses and I can say that the dining staffs have been nothing short of great about managing my allergies. – I’ve found that being honest and straightforward is the best way to go. A lot of dates/get togethers happen at restaurants or somewhere where there is food anyways, so it’s not as if you can avoid the topic. Mostly, though, people already know, because if you’re friends with me (which comes before dating), you’ve almost certainly been at a meal with me. Normally, when I meet new people and they have a meal with me, I explain it to them, because they get curious after seeing me ask questions to the waiter/chef and have such plain, sparse meals.